UK fleet operators must ensure they place tyre maintenance high on the agenda for managing vehicle and driver safety. This is the opinion of fleet management specialist Venson Automotive Solutions. “Ensuring fleet driver safety should always be at the top of the agenda for any business, but it’s easy to overlook how important regular tyre checks are,” explained operations director of Venson Gil Kelly. Indeed, to effectively promote better tyre safety among employees, companies should ensure staff understand the legal limit for tread depth (2mm), as well as the specific pressure ranges for their tyres – these can differ depending upon the type of load for the vehicle. Ms Kelly concluded fleet managers should also engage with their tyre supplier to carry out regular on-site checks of vehicles, as well as undertaking proactive vehicle maintenance to anticipate any potential issues with tyres and to have sufficient stock for replacements, if needed. Companies are reminded that failure to regularly assess tyre wear and tear can lead to a significant increase in the risk of a vehicle being involved in an accident. 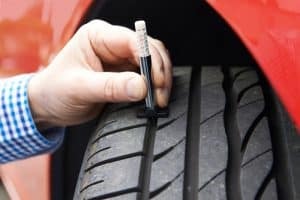 Finally, businesses are also advised to fit all-season tyres to their vehicles, as this will cut down on the expense and hassle of storing and changing winter tyres when they are not required. Keep up with vehicle maintenance and ensure driver safety with MyDriveSafe.Expert, now available from within My Fleet Hub!